Goa’s bakeries and their delicious items are legendary. From savouries like prawn rissois, beef croquettes, to patties and rolls. Not to mention delicious Goan desserts like bebinca, dodol, doss, boll, and bolina which you can find only here. Our favourite bakery in Goa – for both savoury and sweet Goan delicacies – would be Simonia’s in the crowded and bustling Mapusa market. Started in 1963 from a small place in Saipem, today Assis Cardozo is carrying out the family dream. 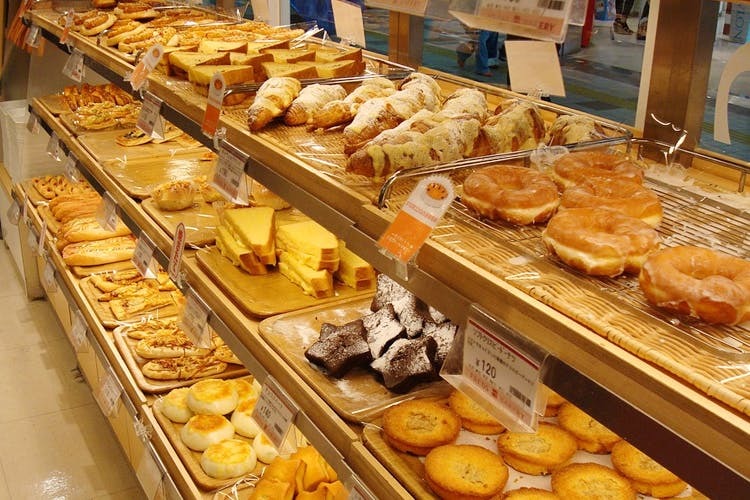 The shop in Mapusa is the best place to go for all bakery items, and you should remember that it can get really crowded. One has to shout to be heard and place an order. And of course, the early bird gets the worm, as they can get sold out sometimes for their popular items early. They are closed on Sundays and shut down by around 7pm every evening. A lot of the items they serve might sound like Greek to most of us but Goans, but they are all a must try. So go ahead and try the Doce de Grao, Cocado, Pinagre, Baji Batica, Doce, Perada, Bolina, though a lot of them need to be ordered in advance. This is the go to bakery for most Goans and has been loved and cherished for decades. But, don’t expect a quaint and restful experience here, but a mad cacophony of sounds and smells, and then a Nirvana like moment as you take your first bite. Go early if you don’t want to be disappointed by your favourite items being sold out.